According to a study eating two ounce of nuts daily lowers the blood cholesterol level by 12 percent. Seeds and nuts are full of nutrition that promote overall health. Seeds and nuts are full of nutrition that boost up overall health. When substituted with less weight-friendly snacks they extensively promote weight loss. 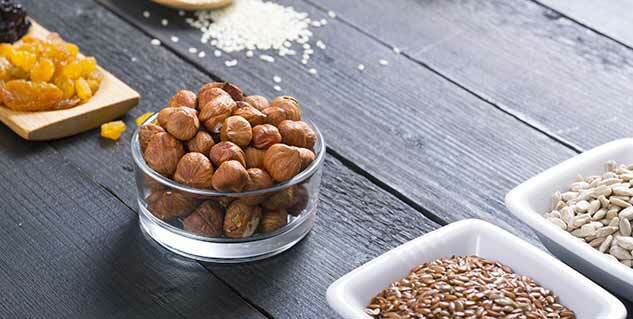 You may think that nuts and seeds are high in fat so how they can be called fat fighting foods. They contain unsaturated fat that have disease fighting properties and can actually aid weight loss. As long as you don’t over-indulge, nuts and seeds promote weight loss. 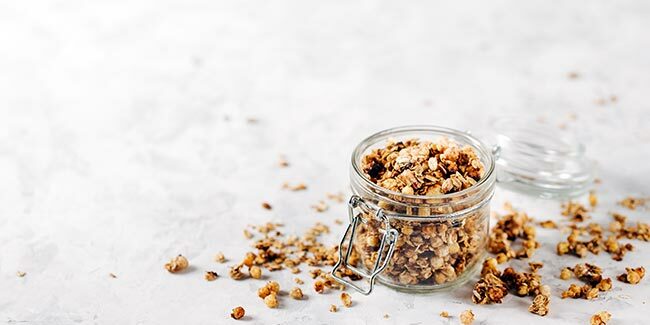 According to a study done at the Loma Linda University in California, eating two ounce of nuts (five times a week) lowers the blood cholesterol level by 12 percent. In this study walnuts were used but similar results were found with almonds and peanuts. Researches point out that replacing saturated fat with mono-saturated fat results in low cholesterol level. Nuts and seeds are high on protein and nutrients. Amongst all nuts peanuts provide highest amount of protein. Nuts such as walnuts, almonds, peanuts, cashews and pistachios are packed with nutrition and can keep you fuller for long. Thus keeping you from over-indulgence in unhealthy food. Walnuts and Brazil nuts are rich in omega-3 fatty acids. Nuts and seeds are full of dietary fibre. High fibre foods are less in calories in comparison to the low fibre food. Fibre is a form of carbohydrate that helps to keep check on the weight. It takes longer to chew nuts and seeds. This reduces tendency to overeat by giving brain more time to register that you are eating. Even though, nuts and seeds have various weight control benefits but they are also high in fat. When trying to lose weight, you should avoid consuming more than handful of seeds or nuts. In addition, you must make sure that you consume them in raw form .i.e. without any added sugar or coating. Seeds are amongst the good plant sources of iron and zinc. Zinc improves your immune system while the intake of iron facilitates oxygen flow to muscles and the brain. Replace your fatty and sugary snacks with nuts and seeds to get rid of bad fat.